Some businesses overlook the important benefits of having a professional floor waxing service come to make sure that their premises are looking nice and tighty. 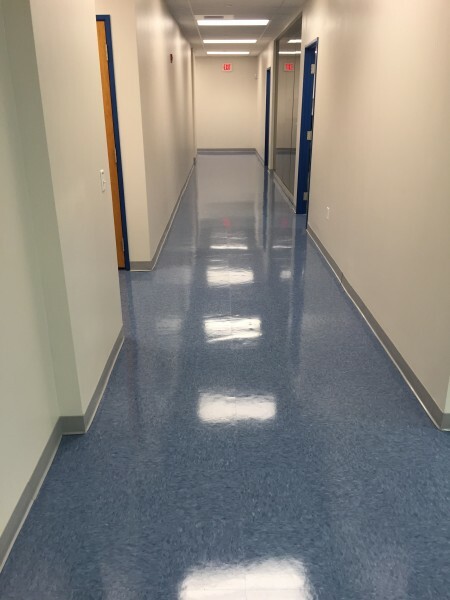 Bestway Carpet and Tile Cleaning, the premier carpet & floor waxing company in Middletown, NJ strongly recommends you have your floors waxed regularly to keep your office looking its best. regular waxing can save you money. Because regular floor waxing resists scuffing and spill stains, it makes your floors easier to clean. It prevents dirt and grime from embedding themselves in the wood, tile, or linoleum, so mopping takes less time and is more effective. Therefore, it allows your janitorial service to spend more time making other areas of your office look spotless. Floor waxing makes your floors shine, which brightens the room and gives it a clean, professional look. This is important for any business, but it’s crucial for those in the medical, food service, or high-tech industries, where the appearance of cleanliness is paramount. Bestway Carpet and Tile Cleaning, one of the leading commercial carpet cleaning and floor waxing companies in Middletown, NJ specializes in helping your business create an excellent first impression without harming the environment. Visit our contact page for contact and location information, or call to speak with a friendly, knowledgeable representative about your carpet cleaning and floor waxing needs at 732-671-8829 today! This entry was posted on Thursday, April 13th, 2017 at 12:00 am and is filed under Commercial Floor Waxing.